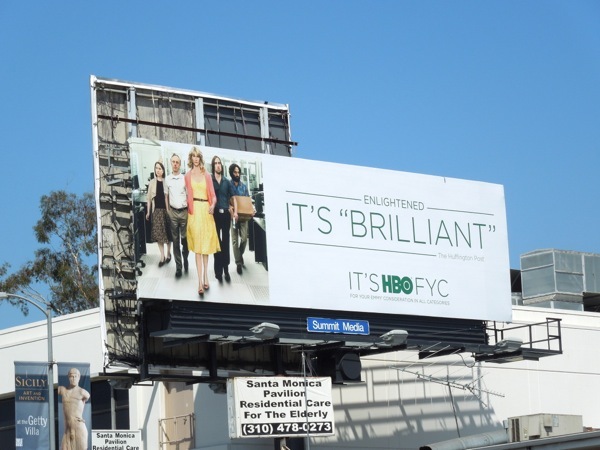 In addition to fleets of buses being plastered with Emmy Consideration ad campaigns, there's lots of brilliant billboards around L.A. at the moment for all the different cable channels and their critically-acclaimed shows. 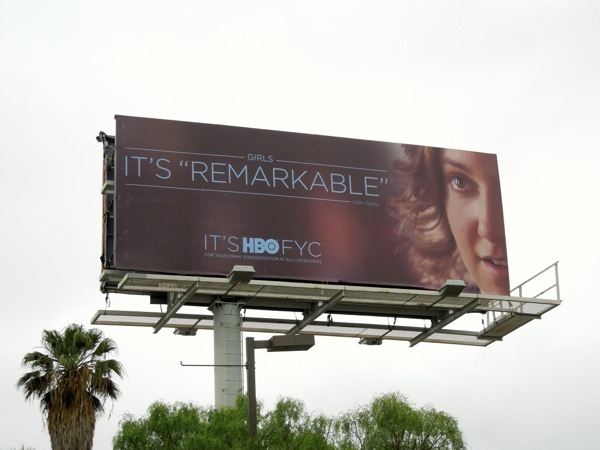 Daily Billboard thought it would be interesting to take a look at how each of these channels approached their Emmy campaign billboards this year. 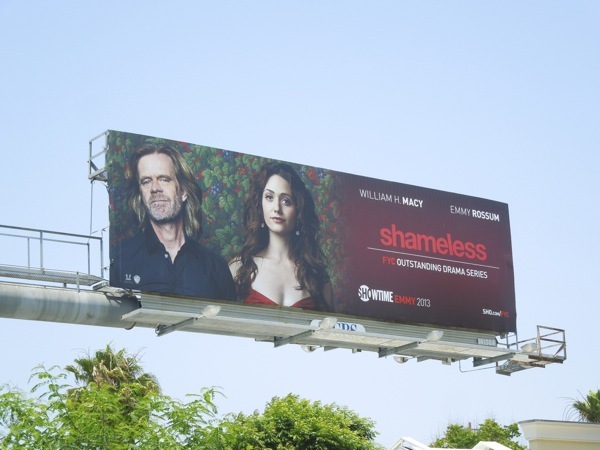 AMC's trio of ads certainly looks like a unified campaign and yet each show retains its individuality, perfectly conveying the feel of each series. 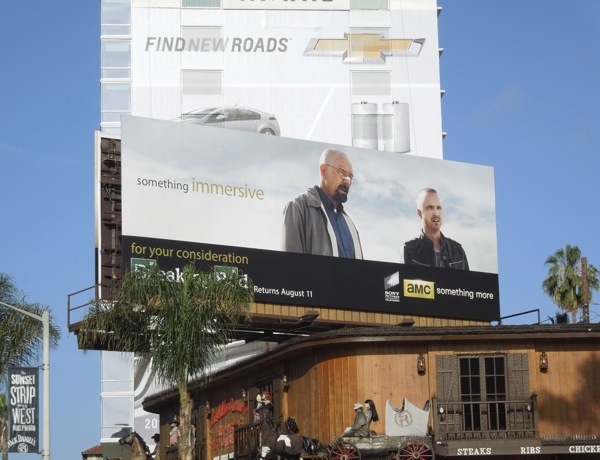 Using new visuals not previously seen on advertising for The Walking Dead's third season, Breaking Bad's fifth season and Mad Men's penultimate sixth season, the AMC campaign uses evocative descriptors about the show, whether it be 'Something remarkable, immersive or unforgettable'. 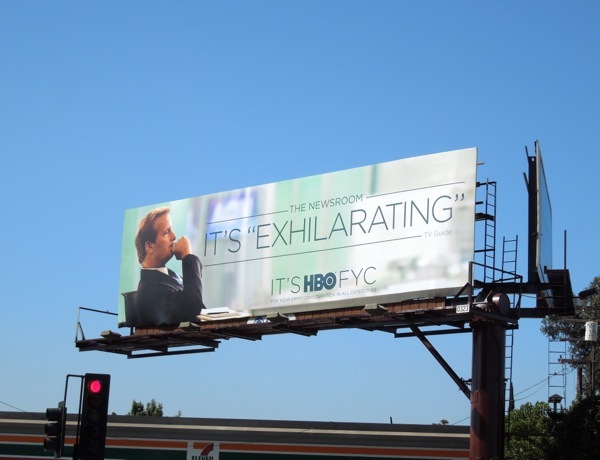 HBO opts for a similar concept, but utilises recognisable season promotional imagery and actual quotes from the media and critics to describe its raft of esteemed shows. 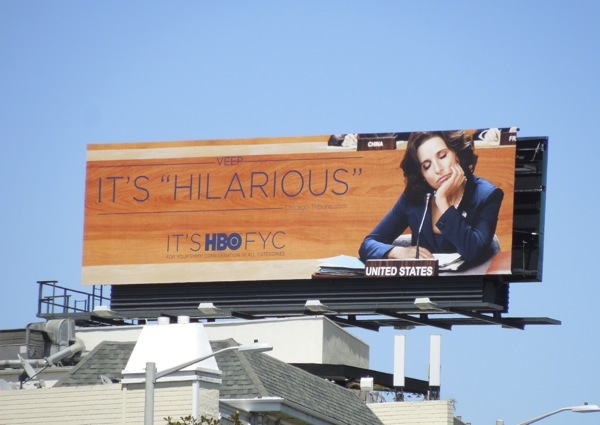 Fortunately HBO doesn't have that many more shows, otherwise it may run out of different words to describe the likes of The Newsroom's debut season, True Blood's fifth season, Veep's sophomore season, Enlightened's second and final season, year two of Girls and Game of Thrones third season. 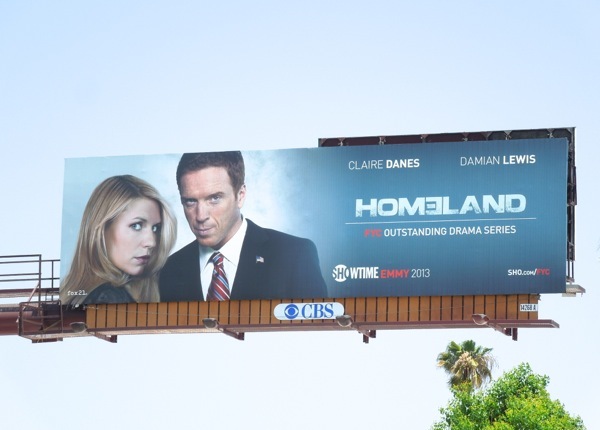 Showtime's Emmy ad campaign design was nice and simple, focusing on its TV shows lead stars for Homeland's outstanding second season and the third season of Shameless. 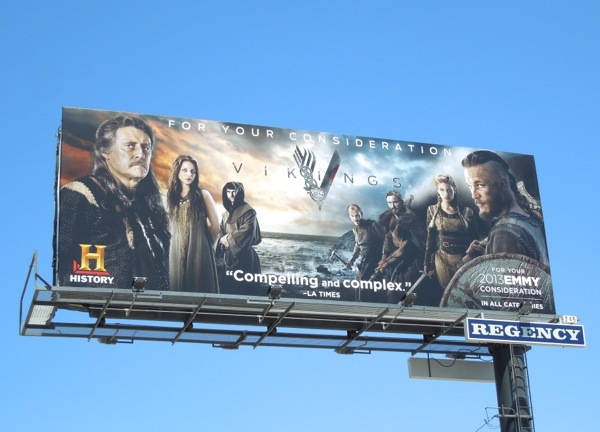 Meanwhile History decided to celebrate their wider cast of Vikings for the show's inaugural season. 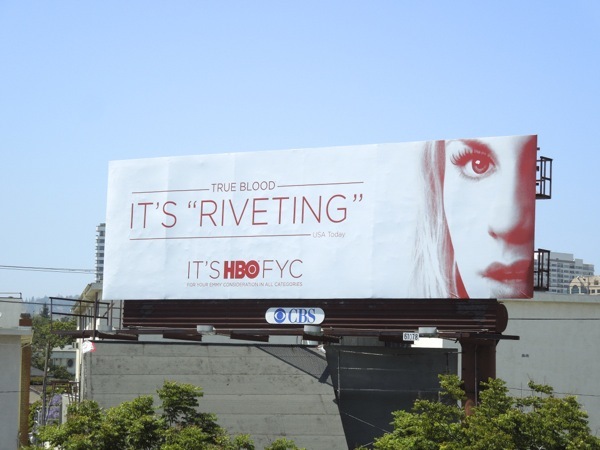 The historical Nordic drama isn't a stranger to different creatives, just check out how much launch billboard support that Vikings received for the series premiere. Which campaign is your favourite? Post a comment and let everyone know what you like and don't like. 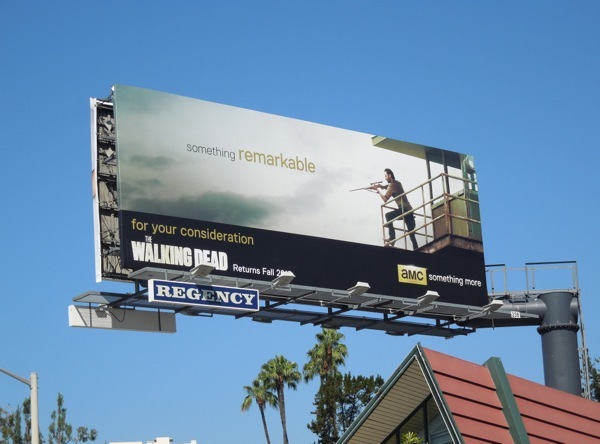 And if you liked all these Emmy Consideration billboards designed to sway voters, be sure to also take a look at USA Network, CBS, TBS and Lifetime's Emmy 2012 ad campaigns. 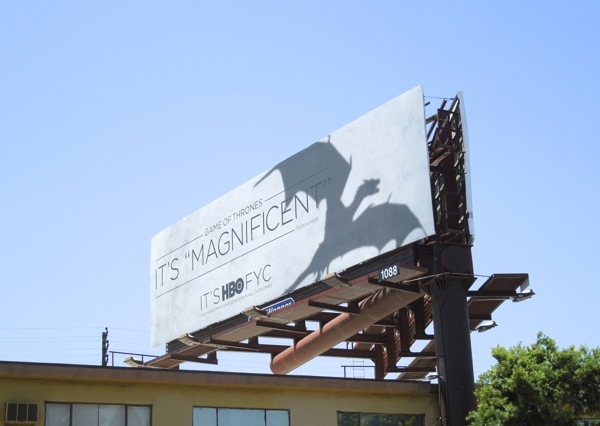 UPDATED: Here's one more Primetime Emmy campaign billboard and this one is for Netflix highly acclaimed first original series, House of Cards. 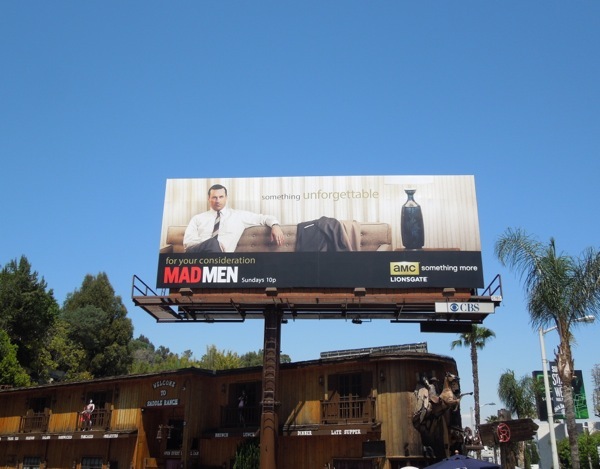 This ad was spied along La Cienega Boulevard on June 17, 2013. UPDATED: Here's another Emmy consideration for HBO's Treme. 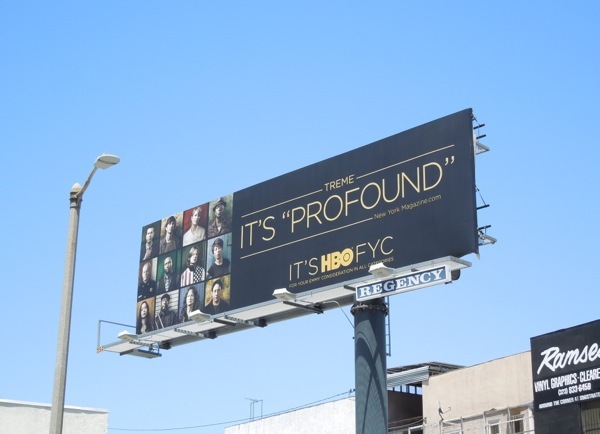 This 'profound' billboard was spied along Melrose Avenue on July 8, 2013. 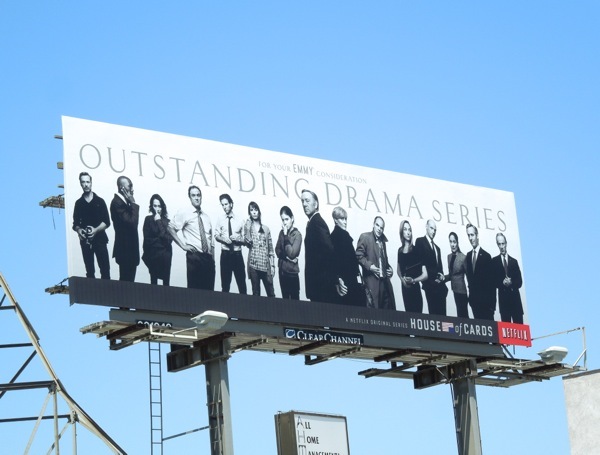 UPDATED: Now that the nominees have been announced, be sure to also check out these Emmy 2013 Nomination billboards around L.A.